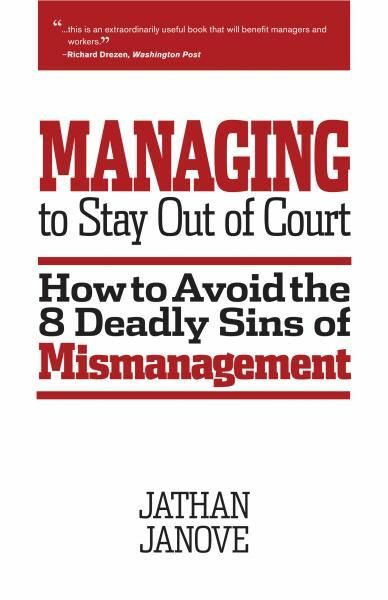 Managing to Stay Out of Court: How to Avoid the 8 Deadly Sins of Mismanagement helps companies avoid employment lawsuits through strong people-management. 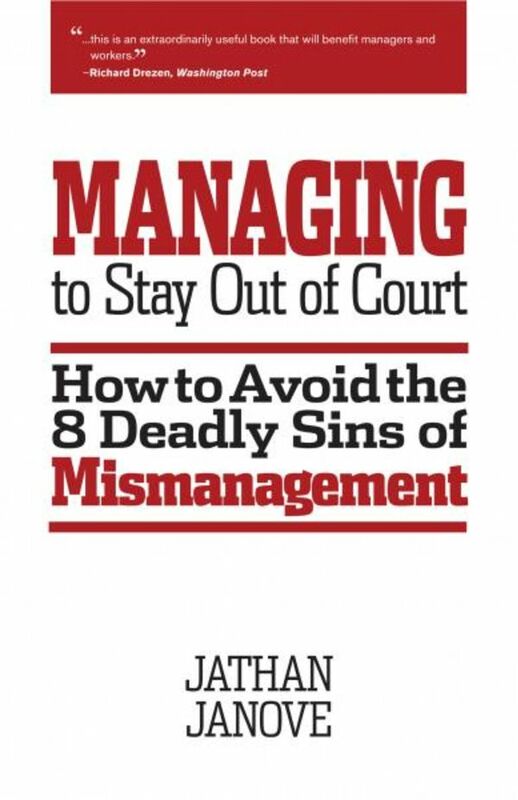 Author Jathan Janove, Esq., a practicing attorney with more than 20 years of experience in employment law, shows how employers can simultaneously comply with the law, stay out of court, improve employee relations, and provide workplace leadership. This book teaches 8 easy-to-remember operating principles, known as the Eight Sins and Virtues. Real-life stories, tools, and practical techniques illustrate each Sin and corresponding Virtue. This book shows you how to move directly from theory to practice - how to lift the lessons off the page and transport them into the workplace. It is not just a satisfying read: Managing to Stay Out of Court produces results.